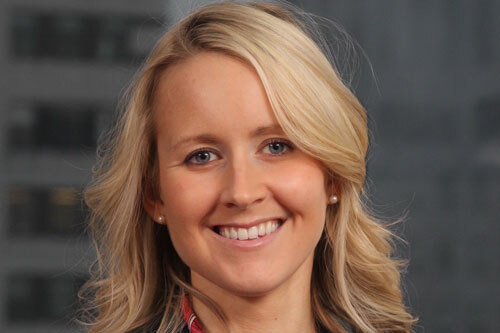 As part of a new series celebrating Cass Women, we spoke to valued alumna Jessamy Little, Full-time MBA (2014), to hear about her life and career to date. If you’re a Cass alumna with an interesting story to tell, or would like to nominate another Cass woman for the series, please drop us a line at cassgwlp@city.ac.uk. We caught up with Jessamy Little, Full-time MBA (2014), to hear about her work and career and how her time at Cass prepared her for a stellar international career in wellness and thought leadership. Jessamy is a wellness coach, consultant, speaker, and writer. She helps educate, empower, and inspire her clients to live healthier, happier lives so that they can thrive personally and professionally. She works with companies and management teams to train and develop their employees. Jessamy also writes for Arianna Huffington’s wellness media publication, Thrive Global. She has spoken at companies such as David Yurman, Soul Cycle, NPR, and Gucci, and partnered with companies like Siggi’s, RX Bar, and Purely Elizabeth. I found my love for wellness while I was working in the finance world, what started out as a hobby grew over time to me eventually taking the leap to start my own business shortly after business school. It is no surprise to my Cass classmates that I am now running my own wellness business. I was lucky enough to secure a spot in the London Marathon the year I was at business school so for a good portion of the course I was training for the Marathon and when I wasn’t training for the marathon I was always doing something fitness/health related. My classmates have been some of the best supporters in my career now. Speak up! Speak up in class. Volunteer and lead clubs. Try new things while you’re in school. Meet new people. Don’t be afraid to stand out/be outspoken. This is your time to really test your limits in a safe space, so really see what you’re capable of, and you might surprise yourself. People thought I was nuts to try and train for the marathon at the same time as being a full-time student. The week of the London Marathon I had to fly back to the States for my citizenship induction and to Iceland for our MBA international elective. I didn’t think I was going to survive that week on top of have to run a full marathon! I really thought I was going to lose it at one point when I travelled to the wrong airport in NYC for my flight back to the UK. But I made it through all of it. What’s more is that I became a dual citizen and ran the London Marathon all in the same week, two of my life long dreams. All this to say, push yourself to your limits, as you might surprise yourself, and discover you are capable of so much more than you think! One was my first boss, who taught me that it didn’t matter what school you went to but that if you worked hard to earn your place, the sky was the limit. The second was another boss who wrote my letter for business school. She gave me the best career advice I ever received - your dream job has to have three pieces to for a successful career - you have to be passionate about it, you have to have the skills to excel at it, and you must be fulfilling a need in the marketplace. The third was my mentor who encouraged me to take the leap to start my own business. She believed in me, and that gave me the nudge I needed to jump! That said, I know women struggle to find mentors sometimes, and I would advise that mentors can take many forms i.e. a politician who inspires you (go Merkel! ), a podcast (WSJ secrets of wealth women features fearless female business women). So, do not fret if you don’t have a mentor in the traditional sense, they can take many forms at different points in your life. You also don’t necessarily have to ask them to formally be a mentor, they can just be someone you admire from afar and learn from their success. Find out more about Jessamy here. Find out more about Cass Global Women here.